Bestops Quick Detach Header is designed specifically for using the Bikini or Safari top. 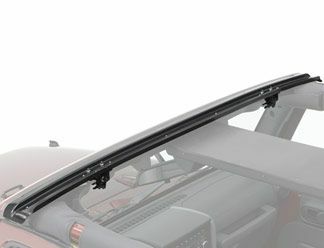 The Bikini snaps into the header channel allowing it to be fixed to the windshield. No drilling required.